The Kansas Department of Health and Environment (KDHE) announced Monday it had joined the federal Centers for Disease Control and Prevention in investigating the “Bourbon virus” that contributed to the death of a Bourbon County man last summer. The man died with symptoms like fever and fatigue common to other tick-borne illnesses, and state and federal health officials believe the new virus also is transmitted through the bites of ticks or other insects. In a video posted by the University of Kansas Hospital, infectious disease specialist Dana Hawkinson said the virus is unlike anything ever seen in Kansas or even the United States. Hawkinson said he and his team had few answers as the Bourbon County resident’s health declined. “That caused a lot of frustration for myself and the other medical personnel caring for him because we just couldn’t answer questions to the family, and to ourselves, as to why this was happening to this gentleman,” he said. It is not known if Bourbon virus was the cause of death or how much it contributed to the resident’s death, according to KDHE. Without more cases to study, Hawkinson said it would be impossible to say if the illness is always that severe or if there are milder cases. 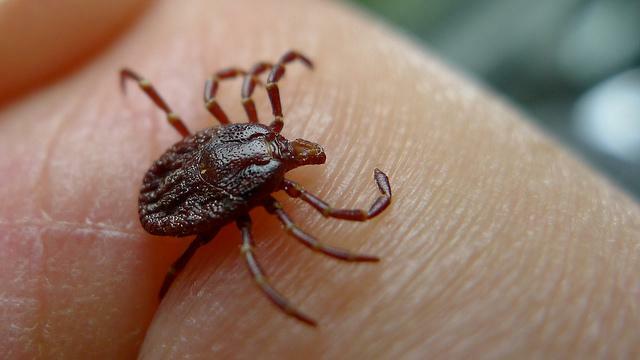 There are more than a dozen tick-borne illnesses identified in the United States, including Heartland virus, which was found in Missouri last spring. The case history of the Bourbon County man who died has been reviewed. Now that the CDC has developed a blood test to confirm Bourbon virus, there are plans to test other residents with similar symptoms who also tested negative for Heartland virus in the past year. Investigators also will be testing ticks and other insects for the new virus. A diagnosis, while a first step, does not provide many treatment options, Hawkinson said. “There’s essentially no treatment available for a lot of our viral illnesses,” he said. He and state officials encouraged prevention, including wearing long pants and sleeves and using insect repellent with DEET when in wooded or brushy areas. When returning from those areas, Kansans are encouraged to check themselves for ticks promptly. In addition to symptoms such as fever and fatigue, those infected with Bourbon virus may experience muscle aches and severe appetite suppression that is akin to anorexia, Hawkinson said. “They just don’t feel like eating,” he said. Hawkinson said April to September is the usual timeline for tick season in Kansas, but in recent years warm weather has extended the season. The past two years, the Kansas Department for Wildlife, Parks and Tourism has disseminated tick warnings starting in April and May. News of the Bourbon virus quickly spread to national websites in the United States and United Kingdom. But in Bourbon County, with Christmas coming and the ticks long gone, all was quiet. An employee at the Southeast Kansas Multi-County Health Department’s Fort Scott office said Tuesday she had received no calls about the virus from county residents. Mary Winn, an infection prevention nurse at Mercy Hospital in Fort Scott, said she had not received any calls from concerned residents either, but that may change once the weather warms. The rare Enterovirus D68, which has afflicted hundreds of children since the start of August, may have peaked. 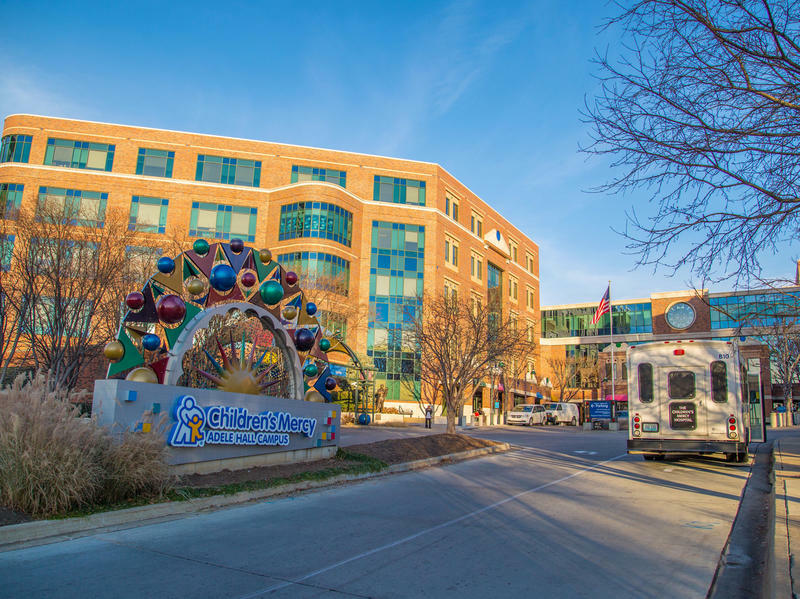 Children’s Mercy Hospital is currently seeing about 20 patients per day with the breathing difficulties, coughing and fever common to the virus, according to hospital spokesperson Jake Jacobson. That’s compared with about 30 cases per day a week and a half ago. The Centers For Disease Control and Prevention (CDC) confirmed the virus in 19 specimens from Kansas City and 11 specimens from Chicago in late August. On Aug. 15, doctors and nurses at Children's Mercy Hospital in Kansas City, Mo., realized they had a problem. Children were coming into the emergency room with an illness that caused wheezing and breathing problems so severe that some children ended up in the ICU on ventilators. And it was spreading fast.